Editor’s note: This is a guest post by Andrew Montalenti and a a follow-up to Andrew’s earlier article, Why Startups Die. Andrew is the co-founder and CTO of Parse.ly, a technology startup that provides big data insights to the web’s best publishers. He blogs at pixelmonkey.org. You can follow him @amontalenti on Twitter. Paul Graham defined startups as being, essentially, growth machines. Certainly, chasing growth is a big part of startup life. But growing is only part of it. After all, grow too fast, and the startup implodes. Grow in the wrong direction, and it’s dead-on-arrival. Grow too slowly, and you’re crushed by competitors. So how do you grow “just right”? Just fast enough to beat out your competitors? Just slow enough to keep everyone focused on the right goal? And how do you make sure you’re doing the right thing, in the first place? To make sure you don’t grow in the wrong direction, you have to stop thinking your ideas are important. 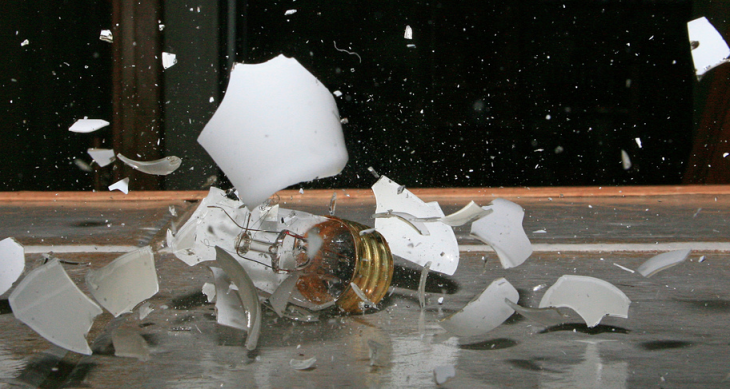 Startups have to kill ideas quickly and unceremoniously. If we hold funerals for every idea we kill, our last funeral will be our own. Killing ideas becomes such a common startup activity that it can be very disorienting and demoralizing to work at a startup at times. Most of your ideas are killed. Maybe, even, all of them. People aren’t rewarded for generating “good” ideas, but for simply generating “testable” ideas. And formulating them in ways that can be tested. Then, testing them. And proving that the test wasn’t a fluke. There are lots of “idea people” in this world. You don’t want these people working at your startup. “Idea people” think the most important thing they create are ideas. But startups think ideas are a dime a dozen. And they’re right. Ideas are meant to be killed. Except for the ones that survive. It’s brutal and it’s harsh. But it’s also fast-paced and exciting. And when an idea perseveres, having survived the harshest treatment possible, the result is truly magical. I’m not saying hire madmen. Although some madmen will do quite well here, with a little oversight. I’m saying don’t hire people who want to just sit around and collect a paycheck. Hire someone who’s thirsty. Who is out for blood. They don’t need to make their job their life. They don’t need to be workaholics. But they have to be work connoisseurs. They have to know what they want out of work. And they have to be getting it, at your startup. Every. Single. Day. It’ll show. When the team is mostly maniacs, everyone becomes maniacally connected. These people have no problem killing ideas with wanton abandon and thrusting forward like bats out of hell. Work has become a form of play and the goal is simple: to win. Your competitors will start getting scared. Which leads to the final point. You don’t need to kill your competitors. You just need to leave such a huge gulf between you and them in the marketplace that people forget they exist. They will ask you to dance, but you should leave the party. Your team will come with you. Your team will laugh manically as it walks out the door, since it turns out, all the guests have left the party, too. They’re next door, using your idea, which was a survivor among thousands killed, implemented by a band of maniacs on a seemingly deranged mission, and doing only one thing: exactly what the customer wanted.